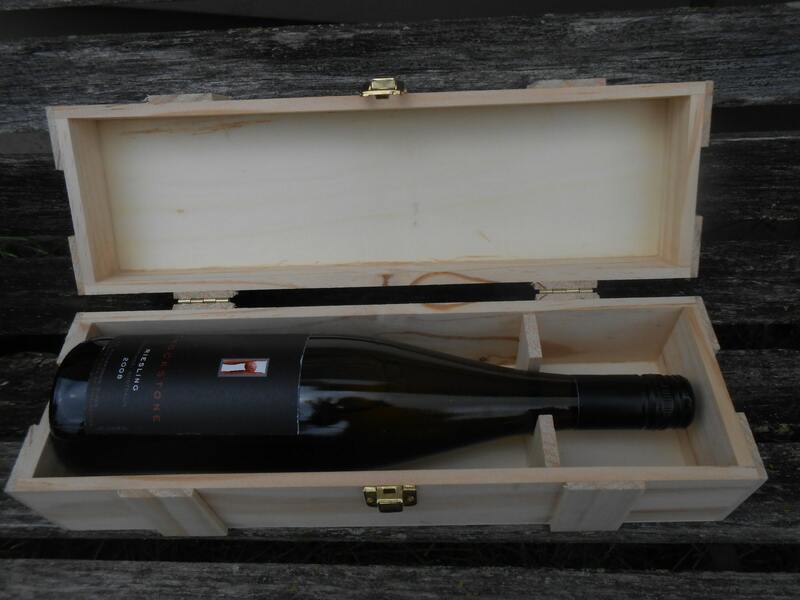 Personalized Wine Box. Laser Engraved. 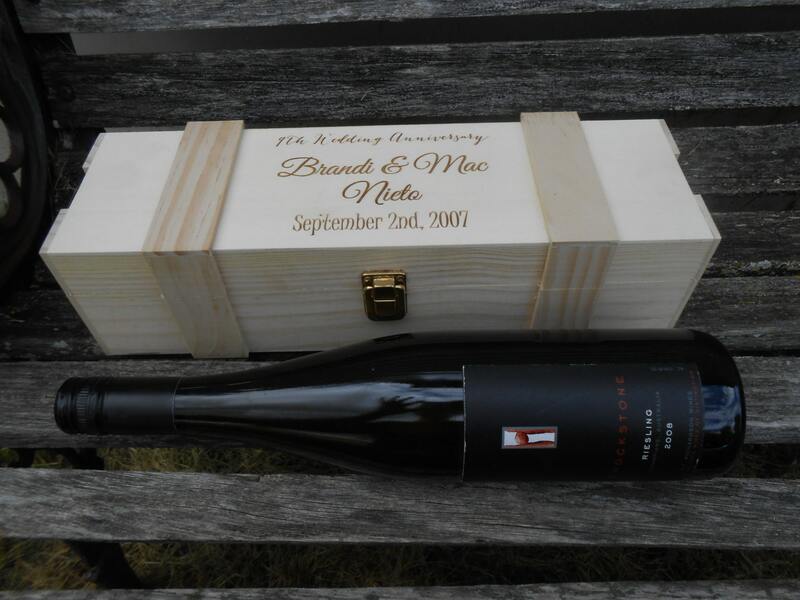 Groomsmen Gift, Wedding Gift, 5th Anniversary. Choose Your Font & Words. 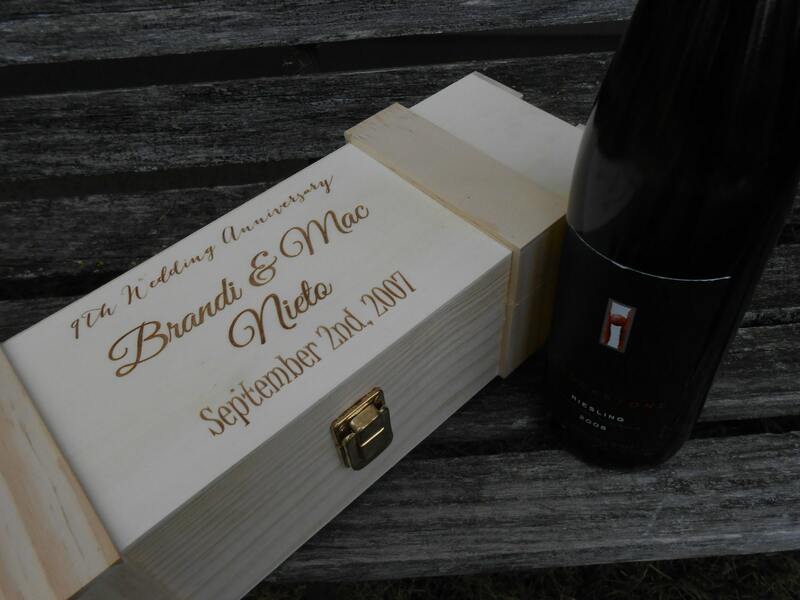 These wine boxes can be personalized with whatever you want on them! 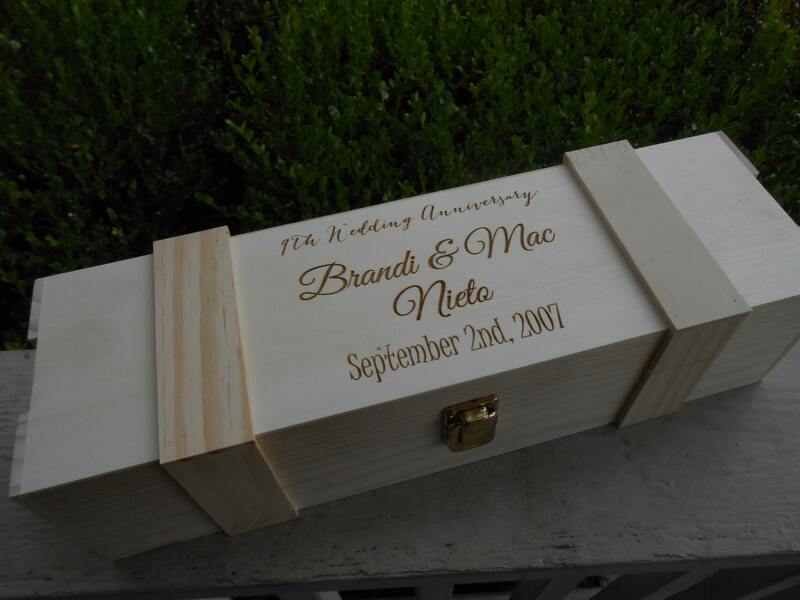 They are perfect for groom/groomsmen gifts, anniversary gifts, or any other occasion. The boxes measure 14" x 4.5" x 3.5". They have a metal clasp on the front to keep it closed. 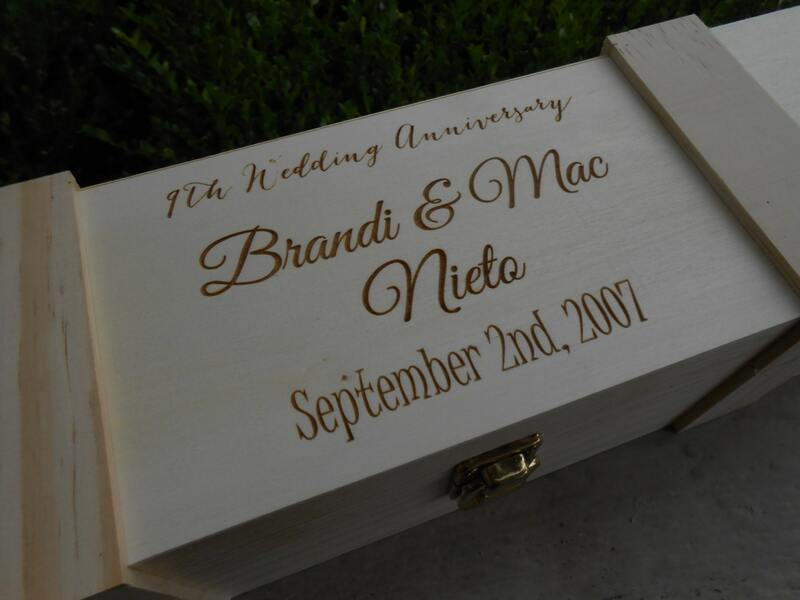 The box shown has names and a wedding date, with the anniversary number, in three different fonts. CHOOSE YOUR FONTS & WORDS! Go to www.1001fonts.com if you want to pick custom fonts. We can also add clip art, if you have an image you want on here. ***Please leave a note at checkout with instructions for each box. Contact us if you have any questions. Production time is 1-2 weeks. Please ask if you need a rush order.